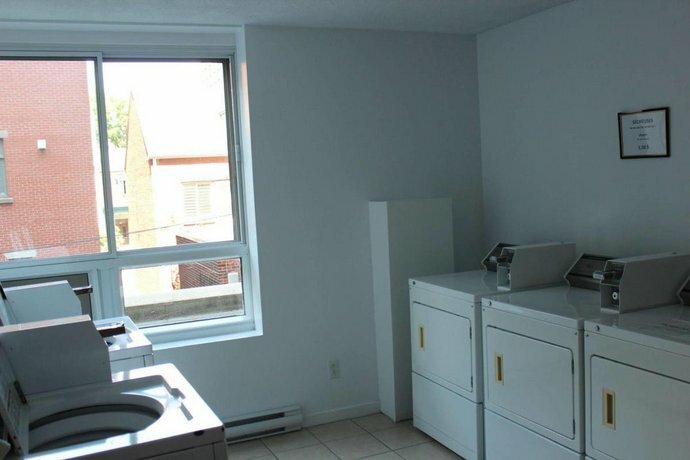 Hotel street and immediate area were frequently described as "rough"
The Hotel Les Suites Labelle is located on a side street off of Saint Catherine Street, in Montreal's Latin Quarter district. 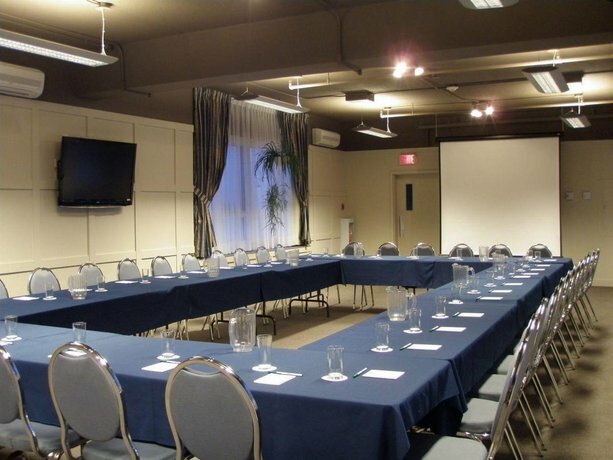 The 9-floor hotel has a business and fitness centre, 3 meeting rooms, and offers free breakfast and free wireless Internet in all its common areas and rooms. 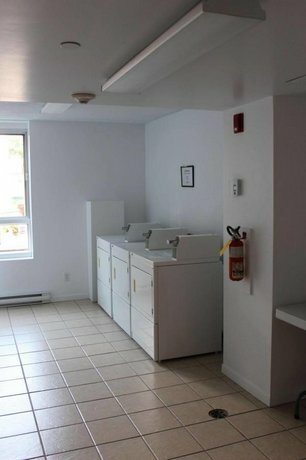 Extra-cost services include self-service laundry, and both indoor and outdoor parking ($17.39+tax/day). 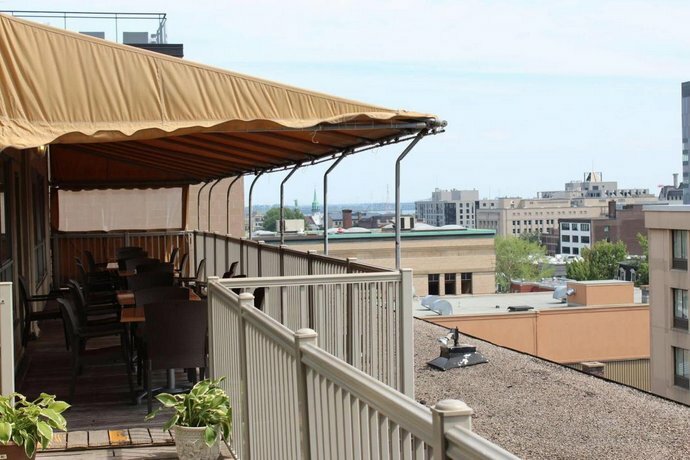 The hotel also has a rooftop terrace, offering views of the city. 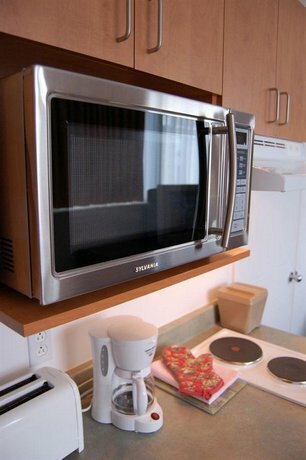 All 97 of the hotel's rooms (studios or suites) feature kitchenettes equipped with a cooking plate, microwave, toaster, coffee-maker, and mini-fridge. 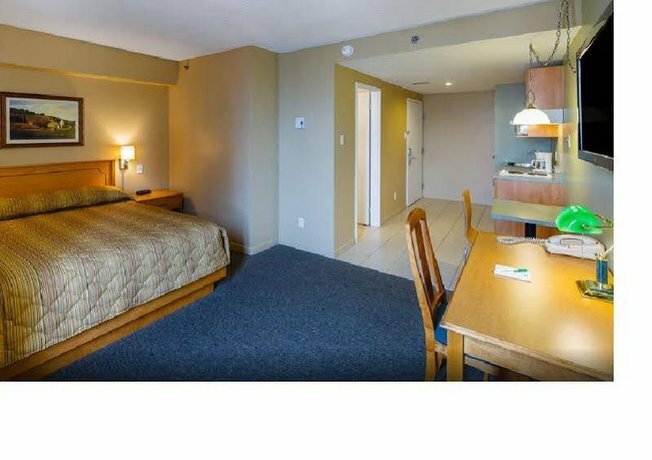 The 3 studio options available are: standard studio with 1 double or queen bed; double studio with 2 double or queen beds; superior studio with either 1 or 2 queen size beds, larger bathroom and more spacious living area. There are 2 types of suites available. 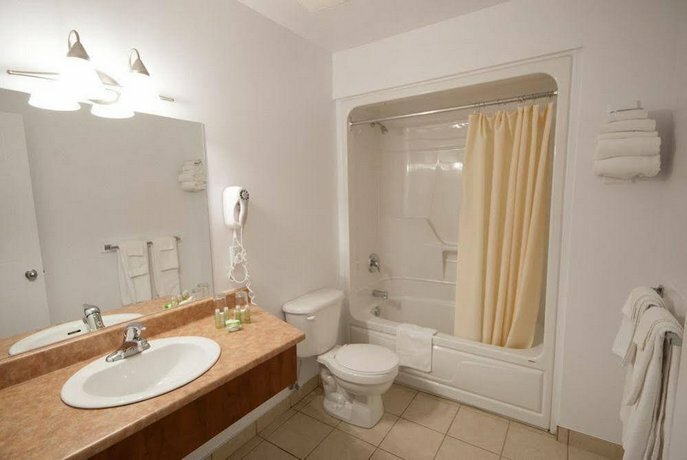 Junior suites offer panoramic views of the city and come with a queen size bed, kitchenette, and a large bathroom with therapeutic whirlpool and separate stand-up shower. 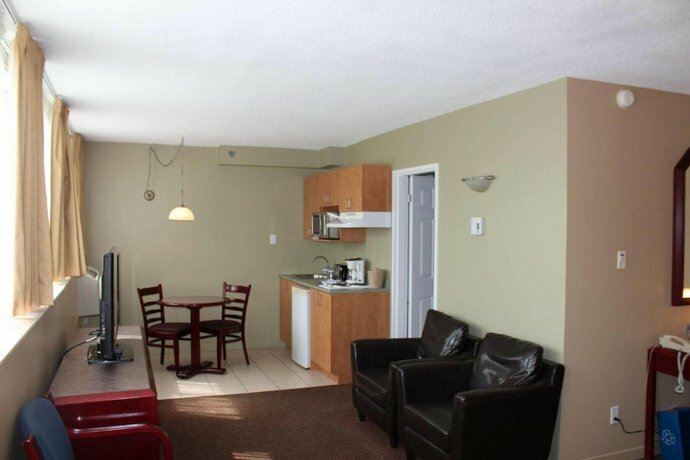 Executive suites are 1500 square foot apartments with 2 bedrooms and 2 bathrooms (including a master bathroom with whirlpool and separate shower), large living room, full kitchen and dining room, office space, and panoramic views of the city. 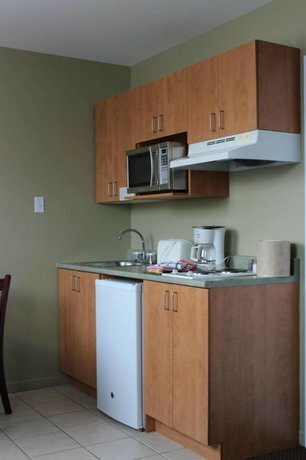 In addition to the kitchenettes and wireless Internet, all rooms also offer air conditioning, flat-screen TV with satellite, work desk, radio alarm clock and telephone with voice mail. Irons and ironing boards are available upon request and safety deposit boxes are available at the front desk. The hotel is across the street (2 minute walk) to the Berri-UQAM metro station, which is the centre for 3 of Montreal’s 4 metro lines. The Berri-UQAM station is also home to the Greyhound bus station, as well as the 747 airport shuttle bus. Although the distance from the station to Pierre Elliott Trudeau International Airport is 20km, or about a 20-minute drive, travel times on the shuttle bus can vary between 45-60 minutes, depending on traffic conditions. 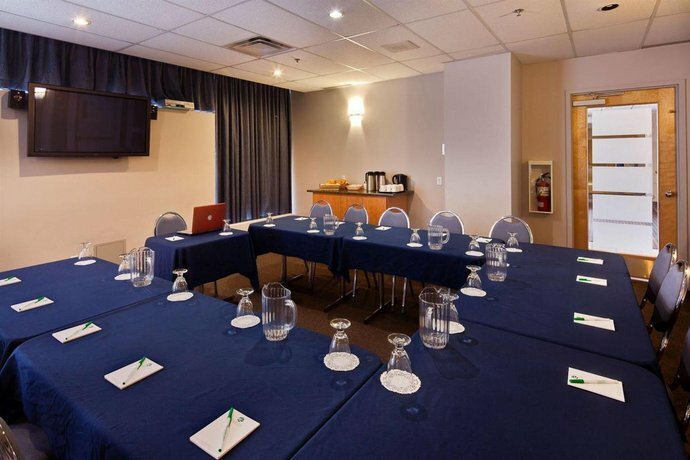 The hotel is less than 1km away from many of Montreal's popular neighbourhoods, restaurants, nightlife, shopping, and other attractions. 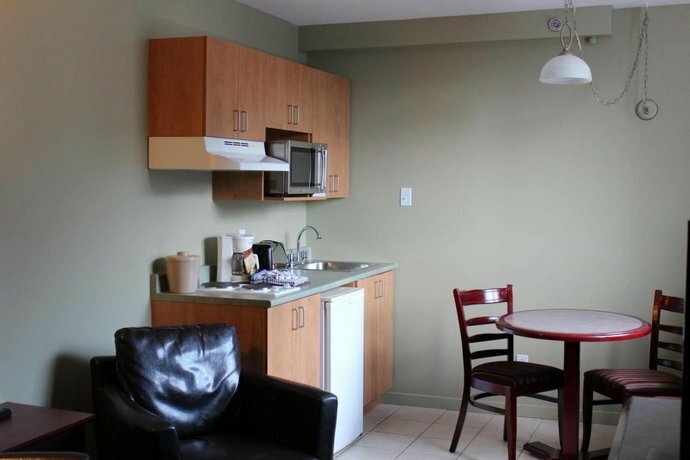 The Gay Village and Saint Catherine Street are within a 5 minute walk and the Chinatown and Old Montreal districts are within a 20 minute walk from the hotel (all distances and driving time estimates: Google Maps). 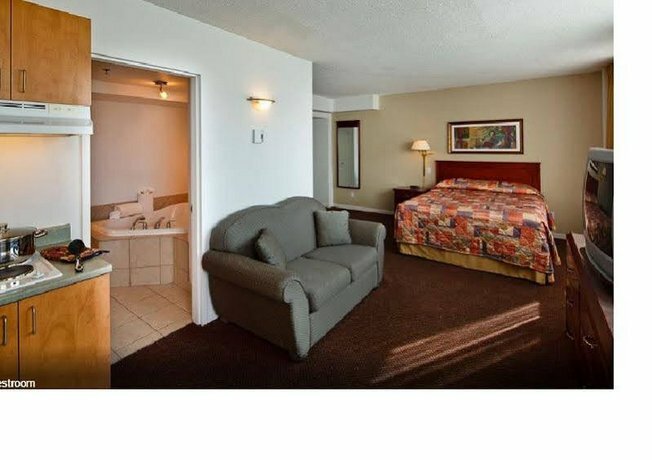 The hotel’s overall value for money, location within walking distance to many attractions, spacious rooms, free breakfast, and friendly staff were highly praised in nearly all the reviews used for this analysis. 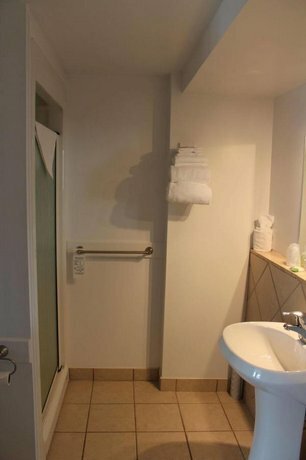 One reviewer said the hotel was “above average for the price” and another felt that, “For the price, it’s an amazing deal.” Many reviewers were repeat guests of the hotel and described it as especially ideal for longer stays. 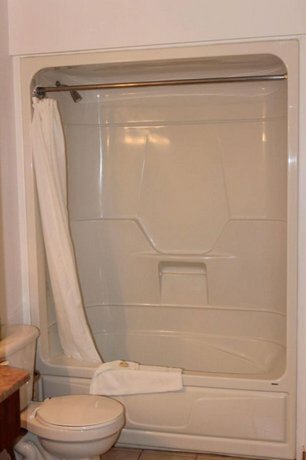 Many guests reviewers praised the hotel’s convenient location. One reviewer enjoyed “the lively neighbourhood…and superb choice of bars and restaurants within walking distance”. 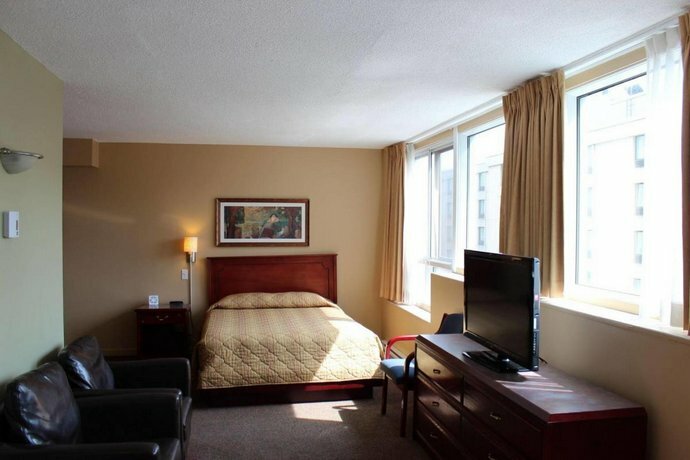 Guests also appreciated being a 2-minute walk to the Berri-UQAM metro station, and the proximity of the taxi station located directly behind the hotel. 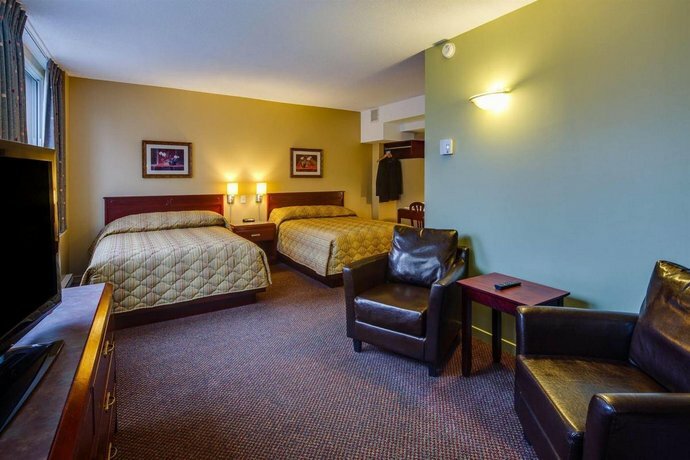 The rooms were consistently praised for being very spacious, clean, and comfortable. Many guests appreciated the design and layout, with one saying it was “like staying in a bachelor apartment”. The kitchenettes included in all rooms were a big plus for many, with one guest citing it as “a great way to save money”. 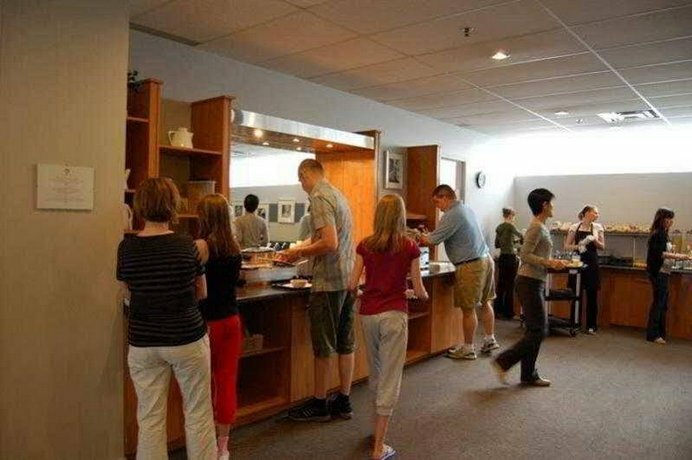 The free breakfast buffet of “beans, scrambled eggs, sausage, fruit salad, cereals, toast, and Montreal bagels” was described as “delicious” and “more than adequate”. 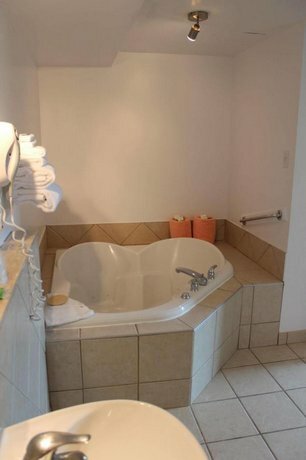 One guest reported that he hadn’t “seen one as good at other better known hotels”. The staff received several positive comments for fiendliness. One guest found staff to be “very efficient and cooperative” and another Spanish-speaking guest appreciated that they were able to communicate in Spanish. A phone call to the hotel front desk confirmed that, in addition to French and English, some staff members also speak Spanish and Russian. Overall, complaints about the hotel were minimal and primarily limited to two concerns: the hotel’s street and the indoor parking lot. 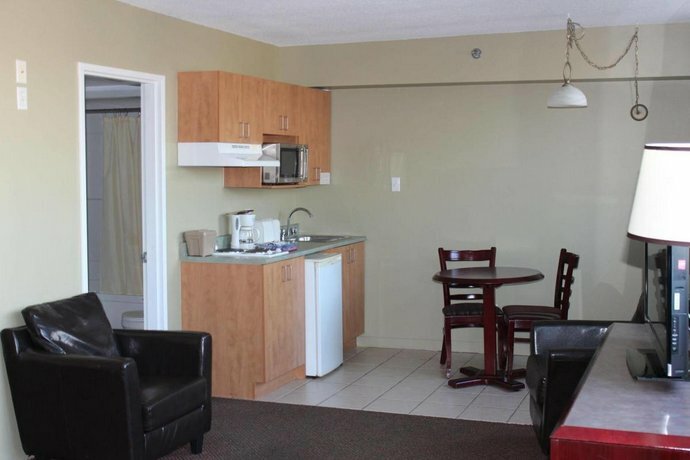 While an overwhelming number of guest reviewers thought the location of this hotel was excellent for nearby attractions, many had concerns over the immediate neighbourhood and street of the hotel. LaBelle Street, a small side street off of Saint Catherine Street, was described by many guests as “seedy” and “rough around the edges”, with “sketchy street people hanging around”. Some reviewers suggested solo women travellers take taxis at night, and another said he stays at the hotel regularly when alone on business, but stays elsewhere in Montreal when he is with his wife and kids. The underground parking lot, at about $20/day (with taxes) was critiqued a few times for being “expensive” but mostly for being too “narrow” and “tight”. Some guests with vans and larger vehicles were unable to park there, but said they were able to park in the lot across the street from the hotel for the same price. 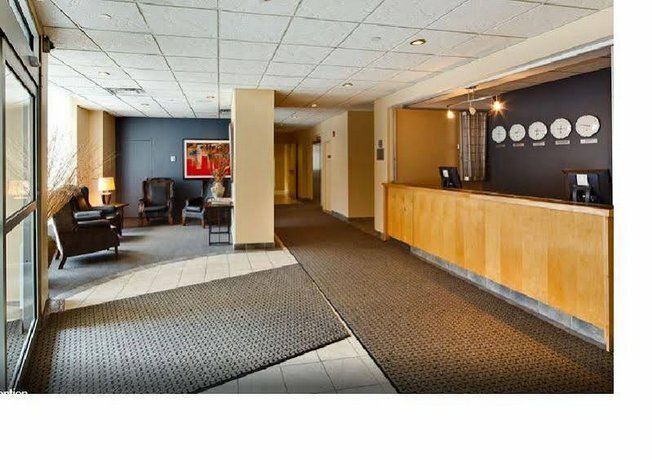 TripAdvisor.com guest reviewers ranked the hotel 33 of 169 Montreal hotels, with an average rating of 4 out of 5 points based on 272 reviews. 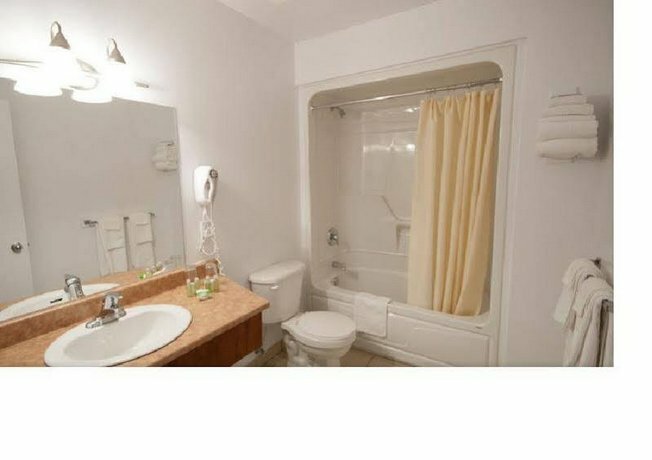 Expedia.ca guest reviewers rated the hotel 4.4 out of 5 points, and had a 94% recommendation rate, based on 191 reviews. 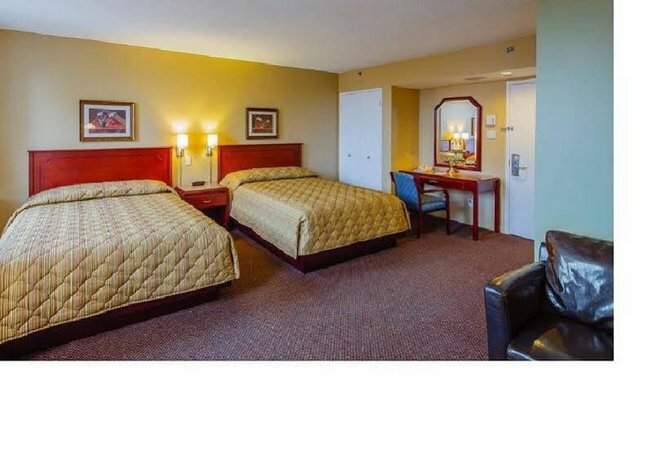 Hotels.com guest reviewers rated the hotel 4 out of 5 points, based on 174 reviews. The average guest rating for Hotel Les Suites Labelle is 8.1 out of 10 based on 3579 reviews from past guests. 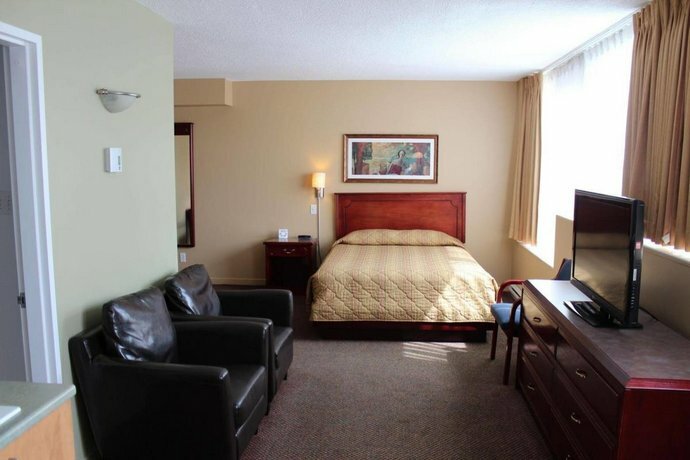 This average guest rating ranks Hotel Les Suites Labelle at #72 out of 151 hotels in Montreal.